Years ago when we worked for a publishing company that handed out editor titles to everyone from journalists to truck drivers, we had a jokester who used to say, "Yesterday I didn't know what an editor were and now I are one." In a somewhat similar vein, we didn't know what a A-Frame seal was until we dealt with reconditioning such parts during a recent restoration project. When we first heard the term A-Frame Seal we thought of long hours spent disassembling front suspensions to replace the rubber seals around linkage points and joints. Luckily, we were off base. 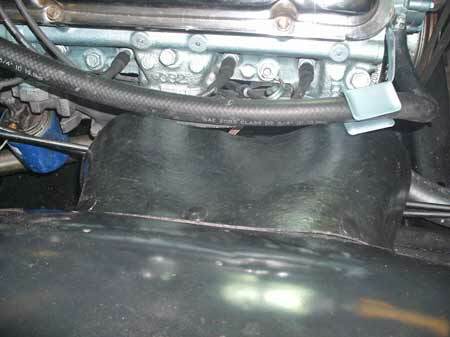 On cars such as the 1966 Pontiac Catalina 2+2 we were working on, an A-Frame seal is the rubber flap between the engine and inner fender that's designed to keep the engine compartment drier and cleaner. 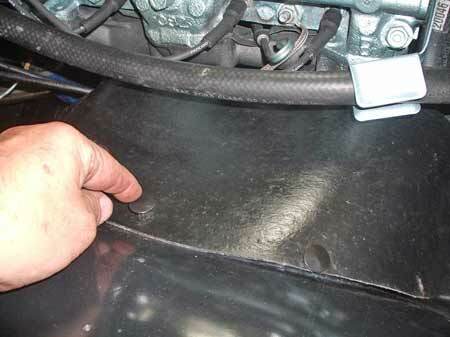 On different cars, A-Frame seals may be stapled in place or secured with push-in rubber retainers often called "Christmas trees." Parts catalogs call these Upper A Frame Seals or Fenderwell Seals. You can buy new ones but we decided to restore the originals. In addition to detailing the engine bay in the 2+2, we also had some electrical ground straps to replace. So, we decided to remove the old A-Frame seals, recondition them and re-install them with new retainers. At about this same time, Eastwood was bringing out a new product called Rubber, Plastic & Vinyl Restore. We decided to put it to the test and found it to be one of the easiest to use restoration products we ever ran across. Using a rag to prevent scratching, we pried the old retainers out with long needle-nose pliers. We then lifted the A-Frame seals out of the engine bay. While it's a good idea to tag the seals to indicate which side of the car they go on, plus the top and the forward end, it was not necessary on the 2+2. The seals on this car were "self indexing," with five holes on one side and four on the other. After the seals were removed, we cleaned them on both sides by spraying Windex on them and removing any dirt with a clean towel. Naturally, the undersides where road debris and moisture hits them were dirtier than the top sides. New seals are available from Ames Performance. Ames calls them Upper A Frame Seals and they are $17 or $19 a pair ($2 more for the staple on type). Original Parts Group sells only the staple on type and calls them Fenderwell Seals. They are $18.99 per pair. We decided to save a few bucks and made our seals look nearly new with two easy coatings of the Eastwood Rubber, Plastic & Vinyl Restore. We simply applied the white crème with an inexpensive foam paint brush and rubbed it into the rubber seal with a clean towel. Then, we repeated the same process a second time. In addition to shining the rubber up, the product made it feel new. 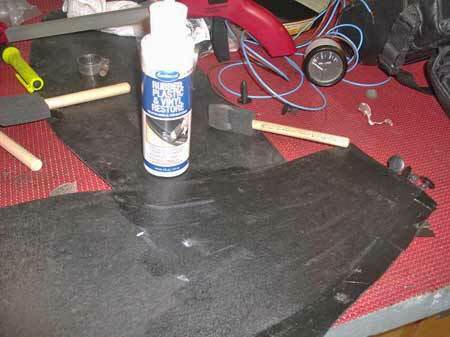 We applied two coats of Eastwood's new Rubber, Plastic & Vinyl Restore product with a cheap foam paint brush. 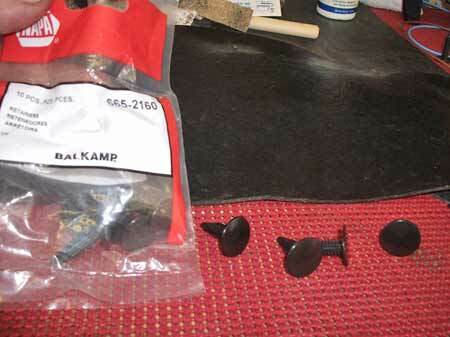 To re-attach the seals to the Catalina fender wells, we purchased a 10-piece package of Balkamp brand No. 665-2160 "Christmas tree" retainers at our local NAPA store for a couple of dollars. There are many different styles and designs of these retainers and we're sure that Ames and OPCI can also supply the best ones for the particular car you're working on. At first we thought our old ones could be re-used, but that doesn't work well so we went to the NAPA store. A 10-piece bag of Balkamp "Christmas tree" retainers purchased at a local NAPA store were perfect for attaching the seals. The vinyl-plastic retainers twist and push through the holes in the seals and into the holes in the fenderwells. We pushed the retainers through the holes in the seals and into the holes punched in the fender wells. For a few bucks and some very simple work, we wound up with a nice looking engine bay with a fully detailed appearance. After the simple chemical restoration process, the original seals looked almost new and gave the engine compartment a fully detailed look.